Loose leaf tea just got a lot less complicated. 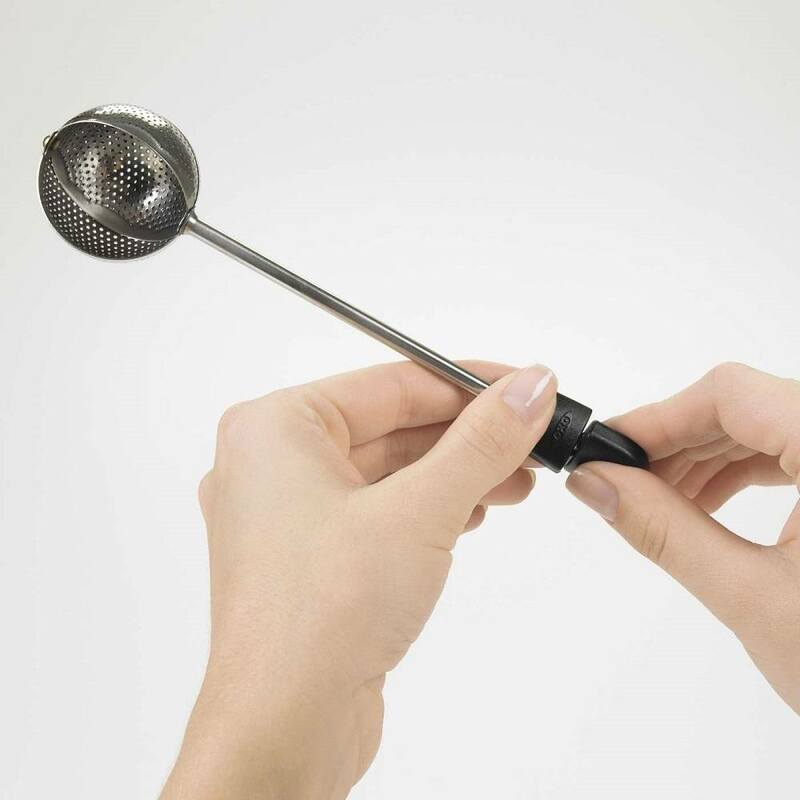 The oxo good grips twist-tea ball makes it easy to scoop up the desired amount of loose leaf tea. 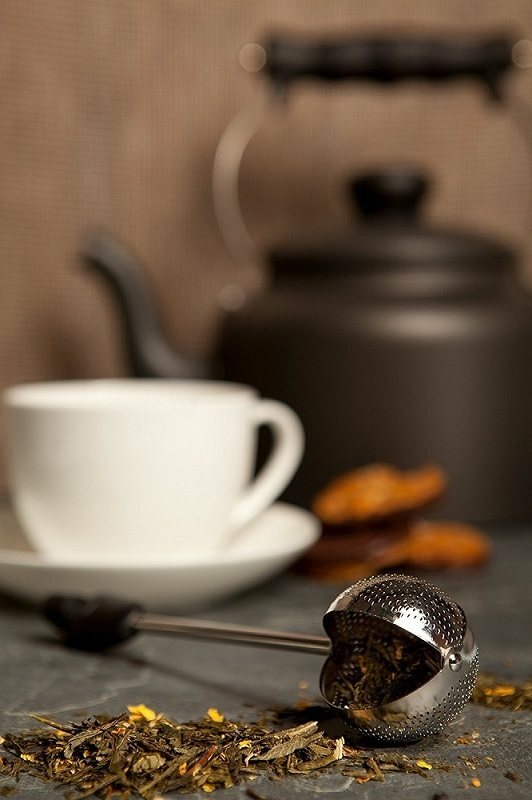 The twisting feature ensures that a generous amount of tea leaves stays inside the ball while you close it. 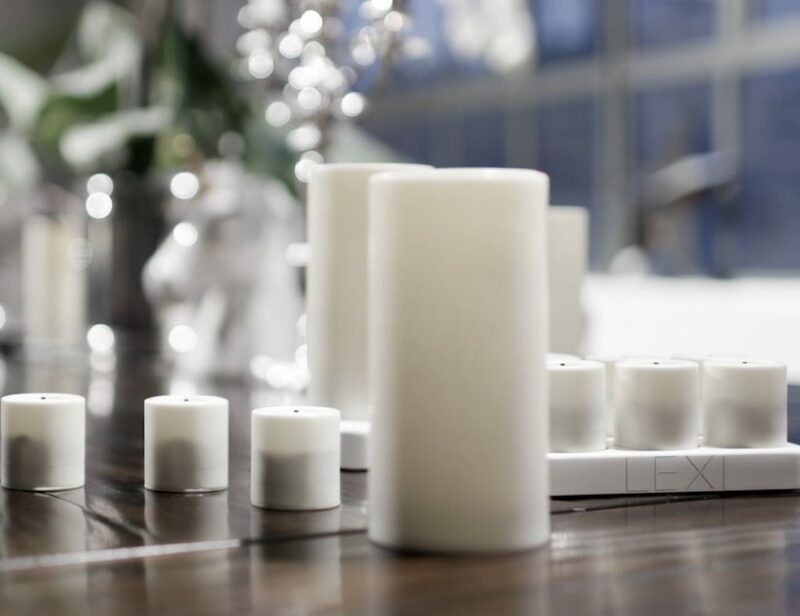 The spinning design also makes the tea ball easy to clean. 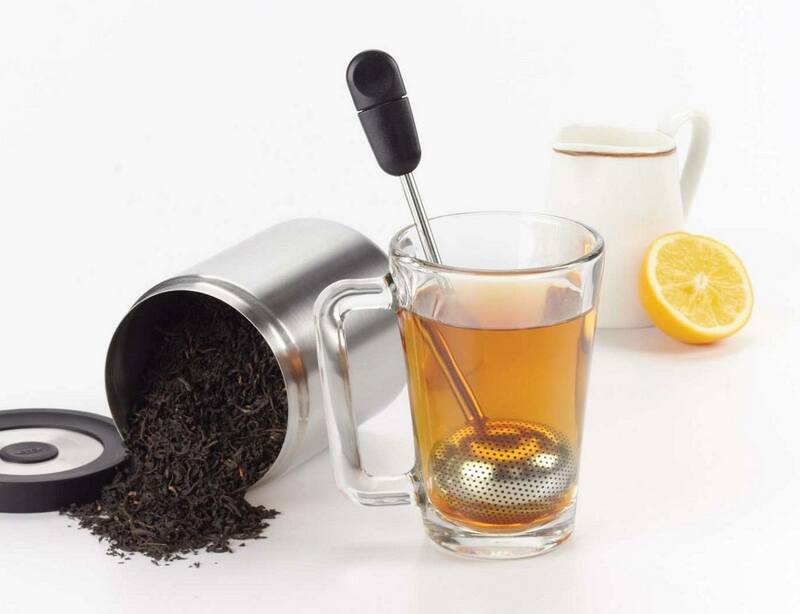 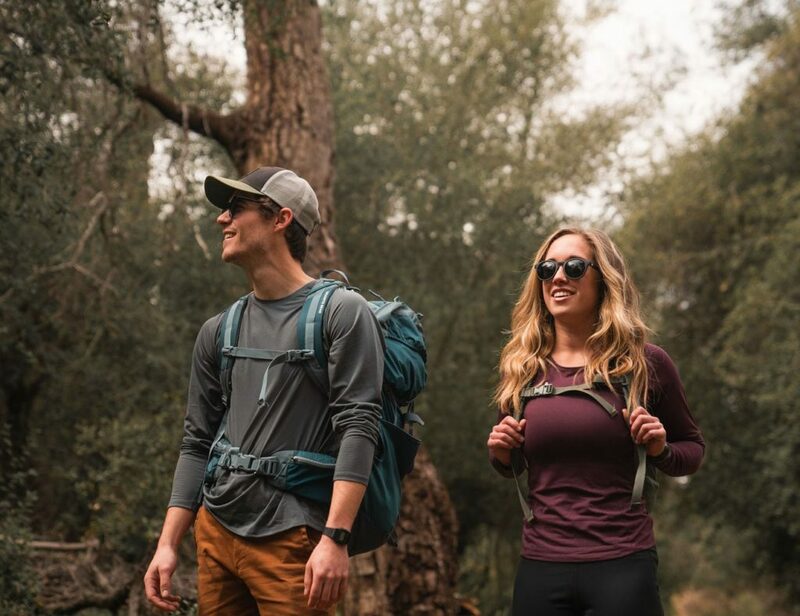 The twist-tea ball has a long, stainless steel neck to accommodate many different sizes of mugs and cups, and the soft, non-slip grip makes stirring comfortable. 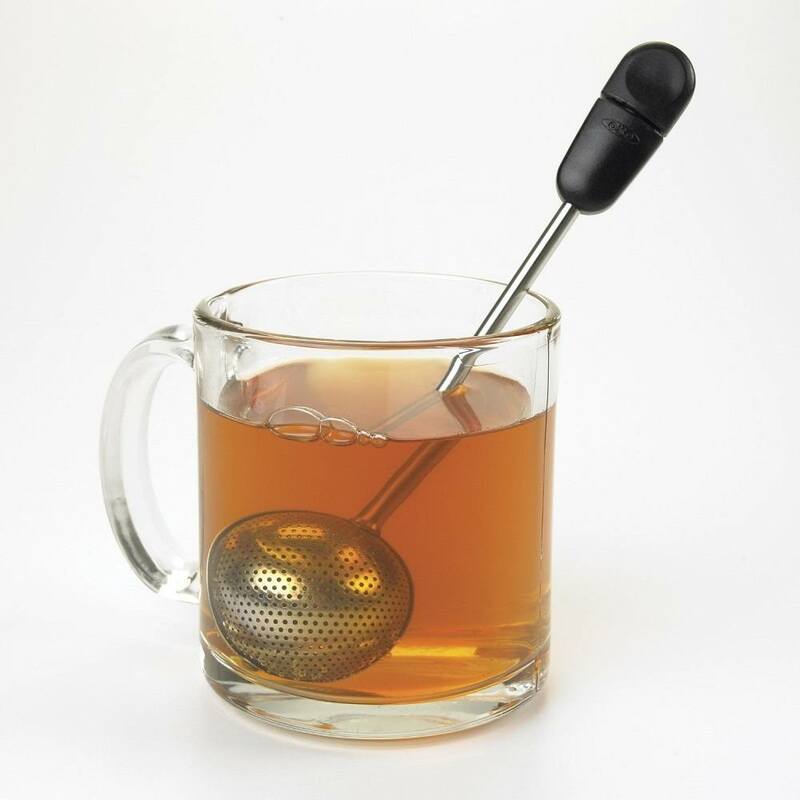 The twist-tea ball is also great for steeping herbs and spices into your favorite recipe.